Constantly Varied. By constantly varying our workouts, we never let our bodies get comfortable with any set time, movement, intensity level, etc. By changing as many environmental and exercise-related variables as possible we keep our bodies working hard to achieve results. Functional Movements. 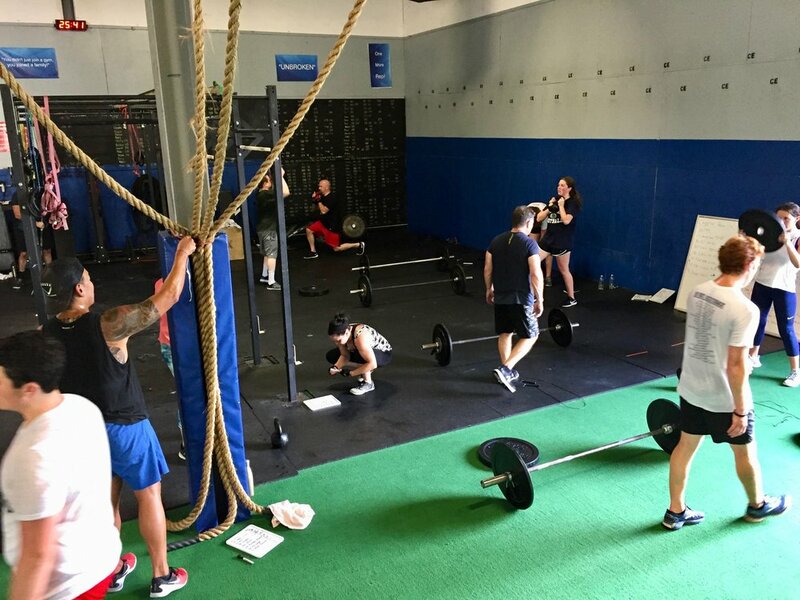 CrossFit workouts are are based on multi-joint, full body movements that reflect the best aspects of gymnastics, weightlifting, running, rowing, biking, and more. High Intensity. If you are not pushing yourself to your peak capacity on a daily basis, you will never provide your body with the environment needed to achieve maximum growth in minimum time. We set the stage for the body to perform well under those conditions, giving you the environment to achieve the biggest results. Supportive Community. Each day you will perform a new workout within a community that shares their desire to be healthier and happier—physically and mentally. Individualized Training in a Small Group Environment. Our coaches will warm you up, demonstrate all the movements of the workout and coach you throughout.